Organising a webinar, what steps should you take? Organising a webinar does not have to be difficult, but it’s handy if you know where to start. To help you get started and save time, we have developed an infographic with an overview of the most important steps. 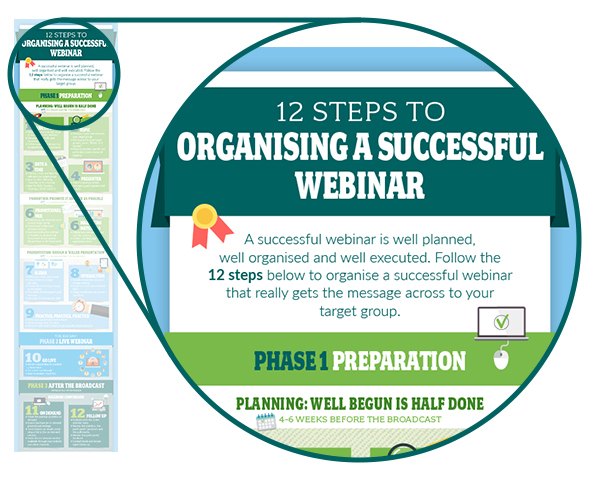 The infographic guides you in 12 steps to a successful webinar! Enter your information in the form on the right and receive the infographic in high resolution.